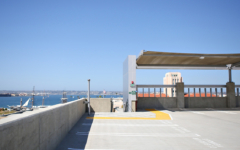 Located in the culturally rich Little Italy neighborhood of downtown San Diego, the Cedar & Kettner Parking Structure has had a positive impact on the surrounding community by providing much needed parking for County of San Diego employees as well as additional public parking during weekends and off-hours. 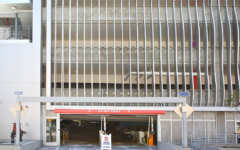 The 240,000 SF design-build garage provides 650 spaces with three levels below grade and six levels above. The structure includes two state-of-the-art elevators as well as two stairways in opposite corners of the floor plate. The unique façade design features aluminum fins wrapping two sides of the building for the full height. These fins were designed and shaped using 3-D computer-generated studies which resulted in an undulating façade that visually changes based on the point of view and sun angle. 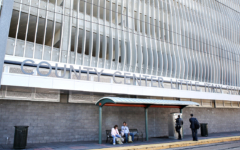 Coordinating with the transit authority, the adjacent light rail platform integrates into the design, and the building provides a shade canopy for passengers. 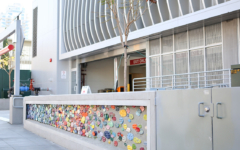 Automobile-themed public art is displayed at street level adjacent to the main pedestrian entrance to the facility.